Over the last few decades, networking has devolved into an endless series of cattle call events full of open bars and closed fists. Perfect strangers, after a long day at the office, agree to show up and bump into each other, randomly exchanging business pitches for business cards. Needless to say, traditional networking isn't working anymore. For successful 21st century business people, large networking events and the mountains of business cards they produce have become a waste of time and valuable resources. Power is shifting - from large, stable armies to loose bands of insurgents, from corporate leviathans to nimble start-ups, and from presidential palaces to public squares. But power is also changing, becoming harder to use and easier to lose. As a result, argues award-winning columnist and former Foreign Policy editor Moisés Naím, all leaders have less power than their predecessors, and the potential for upheaval is unprecedented. Praised by best-selling authors such as Dan Pink, Tony Hsieh, Dan Ariely, Susan Cain, Dan Gilbert, Gretchen Rubin, Bob Sutton, David Allen, Robert Cialdini, and Seth Godin - as well as senior leaders from Google, McKinsey, Merck, Estée Lauder, Nike, and NASA - Give and Take highlights what effective networking, collaboration, influence, negotiation, and leadership skills have in common. 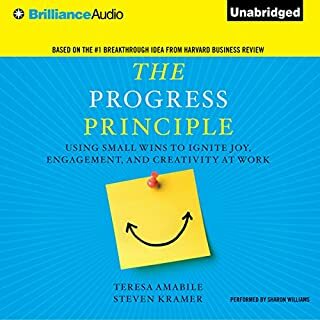 This landmark book opens up an approach to success that has the power to transform not just individuals and groups, but entire organizations and communities. That’s not what Grant was saying - at all – but it took an uncomfortably long time for him to get to that point. 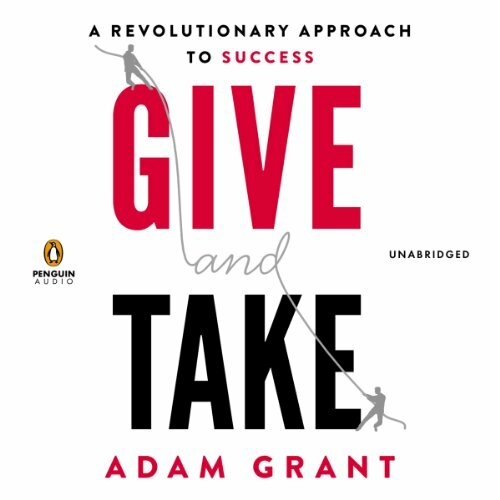 Grant advances the position that those who give generously, both professionally and personally, are more likely to be successful than “takers” (about 15% of people) or “matchers” ( about 70%). It’s a compelling argument, and Grant backs up his position with widely regarded studies and valid statistics. 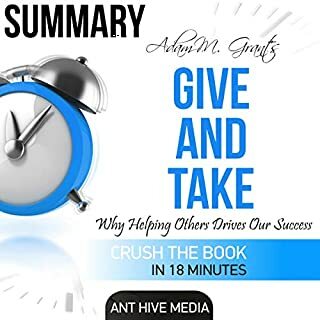 According to Grant, a business organization is well served by finding and developing givers (sharers), whose collaborative work with other givers often returns far more than the work of takers or matchers. Grant also points out an important fault of givers: Statistically, givers are also more likely to be low achievers or failures, if they become “doormats.” Grant has some valuable tips for doormats to recognize takers, and extract themselves from “no sum” or “negative sum” relationships. 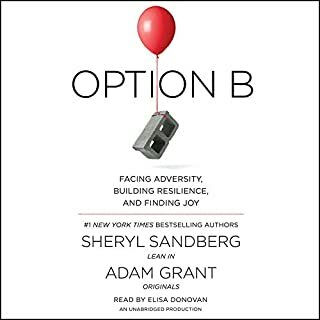 I listened to “Give and Take” on the heels of Sheryl Sandberg’s 2013 “Lean In: Women, Work and the Will to Lead” I wondered until halfway through the book if Grant was even considering women in the workplace. Many of the “giver” techniques he recommends are the very techniques that, when used by women leaders, erode whatever leadership foundation they have. Grant eventually points out that the communication techniques he is recommending will not work for anyone presenting in a leadership role (at a board meeting, for example), although they will work for a leader as a team member. Grant has some invaluable tips for how women can effectively negotiate higher salaries and gain respect in an organization, even while they are “givers” (or “sharers”, in my parlance). This book didn’t have the impact “Lean In” did for me, but it had some invaluable suggestions I will incorporate into my life. I am now much more confident about being a “giver” and recognizing “takers”. I had an unexpected issue with the narration of this book: Brian Keith Davis, the reader, is so smooth, he reminded me of Casey Kasem, the host of American Top 40. I listened to that radio show every Sunday night as a teenager, eagerly waiting to find out what the new Number 1 song was. Several times, after an especially positive anecdote in “Give and Take”, I expected to hear a current pop song. As I write this review, the Number 1 Billboard song Macklemore and Ryan Lewis’ “Thrift Shop.” That is especially apropos for this book. since I just finished this, my thoughts are very fresh and, I assume, will change over time as I reflect on the material...I have heard so many great things about this book, but it seems that it was essentially a book report around the "giving" theme of other, more original work. 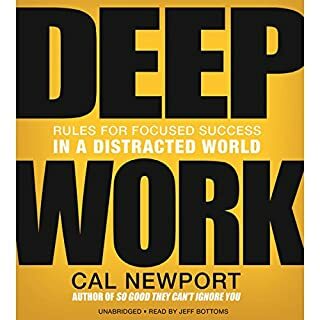 This reinforced the benefit I gained by reading all of the referenced books, and connected those books around this theme, but provided little new value. However, maybe the genius of the book isn't that Mr Grant has new ideas, but that he wanted to shine a spotlight on other great works and GIVE them more exposure. My guess is that if I was one of the authors of the several books referenced, I'd be flattered and happy to hear my work so highly spoken of. Some good stuff but seems like there was lots of fluff. He told 10 stories about one item felt like lots of fluff. The concepts are good but just long. What did you love best about Give and Take? Listening to this book was refreshing, exciting and rewarding. Why? Because it shows that success doesn't need to come at the expense of others but by helping others. Personally, I always questioned wether my urge to help others was affecting my success business in a negative way. Maybe I just needed to become a more tough and less compassionate entrepreneur? Now I know that being kind and giving to others can lead to bigger success than being unkind and taking from others. Being a (very) successful giver is possible, that's great news! Hate it. Not the study of success. Putting down Michael Jordan compared to some nobody that was "kind". B.S. Too woo woo for me. Black and white "giver and taker" styles. Really annoyed by this book. Would you listen to Give and Take again? Why? I'll be listening to this book again, at least once. I will be putting time into some changes based on the compassion fatigue concept and the lek concept -- really new ideas for me. The idea that people don't burn out due to overwork but instead underwin -- I'm going to be putting that into action right away. If you could sum up Give and Take in three words, what would they be? 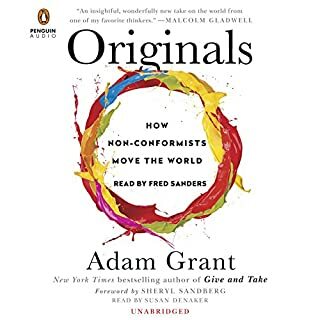 Adam Grant as the author and primary researcher behind the thesis of this book. What did you learn from Give and Take that you would use in your daily life? Good guys don't need to come second. Ones reciprocity style has broad and meaningful implications. Great stories that convey empirically sound research. This wasn't a persuasive book about how you can be a Giver and still be successful. There were a lot of anecdotal stories of how Givers overcame obstacles and became successful. And it's comforting to hear that nice people can win. However, both Givers and Takers have been successful and have failed. There aren't any facts to back up that being a Giver is better overall in the long run. If you are a Giver, the book does point out some vulnerabilities to be aware of, such as too trusting, too empathetic, and too timid. It is followed by a little bit of practical advice, such as offering help to someone and see how the person responds (also give unsolicited, reciprocate with same level of time or effort, or only take). If the person is a Taker, then stop offering help. The relationship will naturally diminish as the Taker finds no value in it when you're not a pushover. 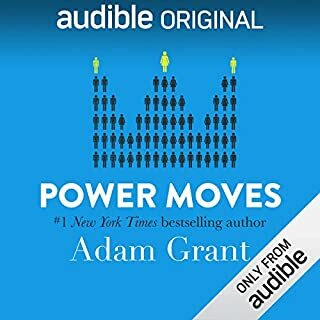 I have been listening to books in the behavioral/psychology/business arena for about three years now and this one is my favorite. The writing is very nicely organized and the narration was excellent. The book is arranged as a series of short stories that describe real world scenarios of different reciprocity styles: givers, matchers, and takers. The short stories are bridged with research findings that tie it all together. The author gives compelling reasons and examples for why and how givers come out ahead. He also describes the pitfalls of too much giving, as well as the disadvantages of being a matcher or taker. This book made me evaluate my own styles that I use at work, home, and in my community. It is very possible to be a giver without falling to the bottom and becoming a doormat.